Mixed numbers are fractions and a whole. 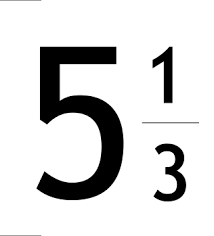 This number has 5 wholes and part of a another whole. the other whole has 1 part shaded out of 3 witch represents 1/3. Improper fractions are like mixed number . like 4/2 is an improper fraction. 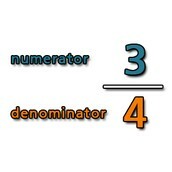 the numerator is bigger than the denominator. you can turn it into a mixed number.By seeing how many times the denominator goes into the numerator . The number that you get is the whole number the remainder is the fraction. How does a fraction look like? 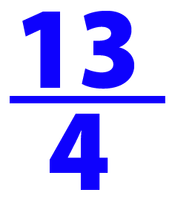 A fraction looks like two numbers staked on top of each other. The top number is called the numerator. 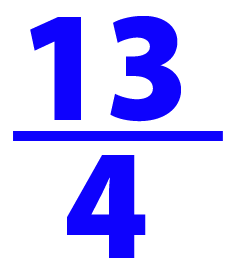 It represents the part that is shaded.The denominator represents how many pieces there are.